(5:28 p.m. GMT) -- Within the next five months, three Fred. Olsen ships will receive refreshed public spaces and new venues as part of a fleetwide refurbishment that began last year. All three ships will dry dock in Hamburg, Germany, beginning with Braemar; Balmoral and Boudicca will follow. Among other upgrades throughout, Braemar will get a new buffet area, and Balmoral is slated for new restaurants and a gelato bar. For its turn in March 2018, Boudicca will be fitted with a new dining room, as well as other enhancements to cabins and public spaces. "We are very proud of our smaller, classic cruise ships and we recognise the importance of investing in ongoing upgrades to ensure that our guests can continue to enjoy them at their best," Mike Rodwell, Managing Director of Fred. Olsen Cruise Lines, said in a statement. Fleet refurbishments began with Black Watch at the end of 2016, adding spruced-up cabins with interactive televisions, a new restaurant and buffet, and refreshed furniture and upholstery throughout, in addition to a new 3D movie screen. 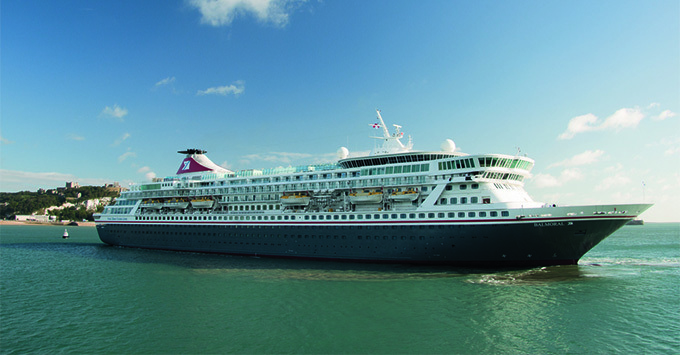 Braemar's first voyage out of dry dock will be a 16-night Caribbean sailing from Southampton on 5 December, while Balmoral's first cruise post-refurb will depart from Southampton on a 21 December, 16-night Canary Islands sailing. Next year, Boudicca will emerge from its slightly longer 13-day refit with a five-night mystery sailing on 29 March.